It's crucial to remove your makeup immediately following a performance. "All the sweat and makeup can clog pores, leading to more acne," Chang says. "Try to seek out products that are noncomedogenic, which are lighter and less oily, and thus less likely to clog your pores. Also, make sure you're regularly washing your makeup brushes!" She suggests using a salicylic acid cleanser to wash your face and exfoliate your skin if you're between breakouts, or a cleanser with benzoyl peroxide if you're battling any active acne. Chang stresses that there's a big correlation between the severity of your acne and resulting scarring. "Treating acne early is critical in preventing scarring," she says. If you're only dealing with isolated blemishes that appear infrequently, using an over-the-counter retinoid treatment like Differin can stop the pimple in its tracks before it becomes a scar. However, everyone's skin is different, and certain cases require a more in-depth treatment plan created by a board-certified dermatologist. The bottom line is that the more you manage your skin, the less acne, and subsequent scarring, you'll have to deal with. If you're managing recent scars, Chang emphasizes the importance of wearing sunscreen every day. "Otherwise, any dark spots will just get darker," she says. "Effective treatment really depends on the type of scarring." Hyperpigmentation can fade away over time with the assistance of glycolic acid, retinol, or azelaic acid (all available over the counter), as well as a professional chemical peel or resurfacing lasers. Atrophic scars—scars that appear to be indented—can benefit from methods that stimulate collagen production, including microneedling and certain laser treatments (though the latter can be costly and a bit painful). An appointment with your dermatologist is often necessary to determine the best course of action for your skin, especially if the treatment involves prescription-strength acids or medical procedures. A little foundation and concealer can go a long way when it comes to covering acne scars. The secret lies in the application. Give yourself a good base by moisturizing and priming with your preferred products, then apply your foundation with a brush or Beautyblender. 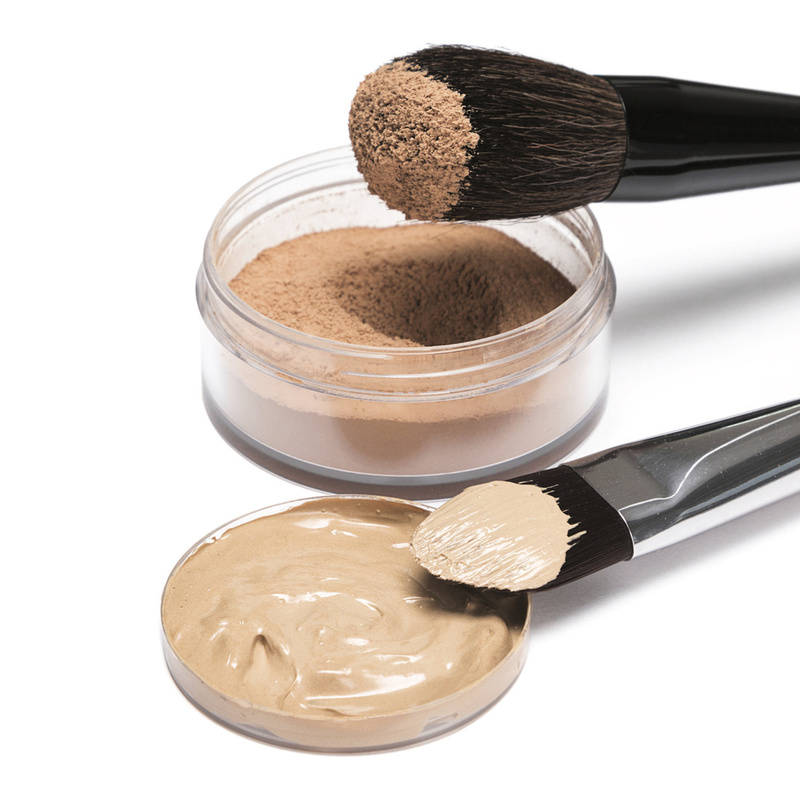 Take a fine-tipped concealer brush and dip it into your concealer. Dot the product over your scars until they're invisible (but don't overdo it, or they'll look cakey). Dip a powder brush into loose setting powder and apply it all over your face with a blending motion, taking extra care to tap gently over the scarred areas, rather than blend—this will lock the concealer into place. A version of this story appeared in the April 2019 issue of Dance Spirit with the title "(Not So) Scarred for Life."